THE NADIR OF ABC NEWS??? 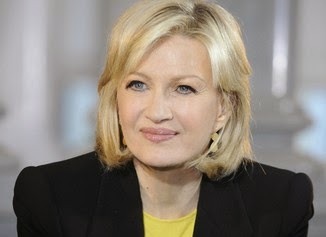 This is the time of the year when we think about the people we miss…and I miss Diane Sawyer. No, she didn’t die during 2014, she left the anchor chair of the ABC evening news…and I miss this Kentucky gal..so does the world of journalism, for World News Tonight is not the same and ABC all along the line is slipping, badly. 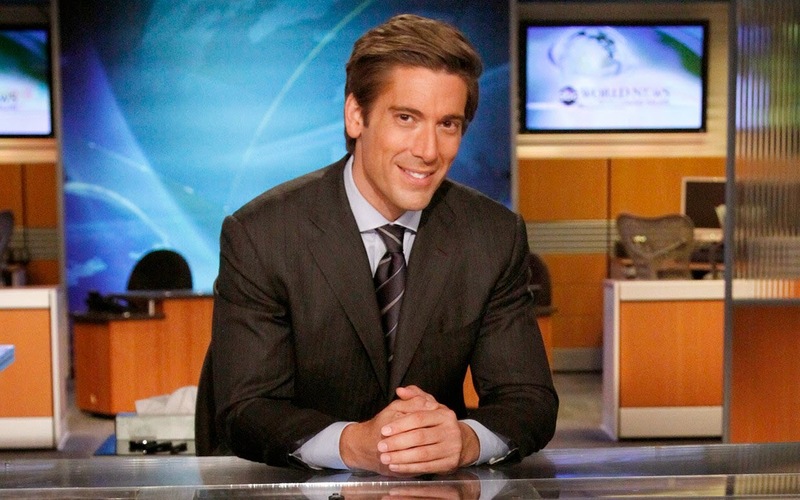 ABC promoted its weekend anchor, David Muir to succeed our Diane, which is replacing a heavyweight with a middleweight, at best. I don’t notice any changes he has brought to the program, so far, except a lousy opening, but other changes are apparent. The people who succeeded Muir on weekends are lightweights. One of them, in reporting how close a satellite would come to a comet said "120,000 miles per hour” which is not distance but speed. Another new weekend anchor told us a land-based flag was flying “at half mast," instead of "half staff," a mistake usually reserved for Journalism 101. I watched a 2 hour ABC special on the main news of 2014. News? Gossip, you mean. The show appeared to give more time in covering a teenage grocery store bagger “hottie” than it did to Ebola or ISIS in Syria. True news events were submerged in comments from editors at “People” magazine, not Time, People..which should have been a clue to avoid wasting my time. Is this the nadir of ABC News? No, but the network’s journalistic efforts have slipped badly from the days of Peter Jennings or our Diane. Locally, Lexington TV news isn’t faring much better. One station is running promos with grammatical errors. A reporter for another station and an anchor of a third both mispronounced “Roosevelt.” Apparently they didn’t watch PBS which got it right. The first syllable rhymes with “rose.” Not that KET doesn’t have its own problems. A minute before “Comment on Kentucky” last Friday it ran a promo saying that program was coming up. It wasn’t, apparently a holiday change..but still!!!! Let’s hope the New Year brings better Journalism…nationally and locally. SANITY---For 50 years our policy towards Cuba hasn’t worked. It’s past time for major changes, even the small ones President Obama set in motion this week. 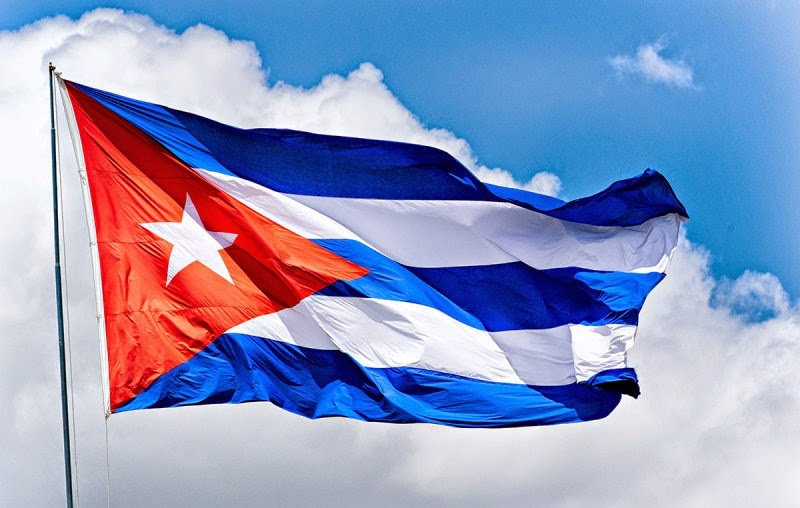 And, as dozens of Kentuckians who have visited Cuba recently would tell you, the Cubans they met will welcome the changes and Americanos there. They seek our music, our culture, our visitors, our dollars…and our trade. Therein lies the major rub. The US economic sanctions against Cuba remain…initiated by a hostile Congress years ago and thus outside Presidential pardons. American business has been salivating for years to do business in Cuba..as all our friends do--Canada, Britain, France, Mexico, etc..and yet, the GOP, the party of business, wants to stop what the President has done, and hold back US businesses from trading there. Give me a break. INSANITY---While I recognize the issues of possible censorship raised by North Korea’s apparent hacking of Sony Pictures, as the President outlined..our motion picture industry often censors itself..what was the last picture you saw on corruption in China (the single biggest market for US films outside the USA) for example. These are serious, but so are other issues. A freshman lawyer on his first case could win millions if Sony released the film, and some local theater had a bombing, or an Aurora, Colorado type shooting. (Remember Aurora?) This is a real concern for Sony, and theater goers! But, let’s go to the beginning of this film. We are told it’s a satire, though none of us have seen it. The basic idea: two US comics are drafted by the CIA to KILL the new North Korean president. KILL? That’s against the law (though the CIA has violated that law as it has so many others. FUNN-knee? I’m rolling on the floor with laughter. Helluva premise for a film..a bad premise. See what trouble it has gotten us into. We don’t even know what policies the new, young guy will pursue. He’s reported to like Western films, music, and whiskey (bourbon?) He MAY be better than his dad, and yet, without giving him a chance, we want to knock him off? Great foreign policy that. But---don’t any of our Sony execs, or US foreign policy people remember..the US tried, officially and unsuccessfully to kill Castro. And when JFK was murdered among the major rumors, for years, was that the Cubans were behind it as retribution. That’s what makes foreign policy often such a slippery slope. Normally, it’s bad enough..without a quarter-baked idea for a lousy film screwing things up even more. OK, it was done indirectly, but it was done in our name…by our government. The Senate report on the CIA last week made this clear. At least one person died at the hands of U-S interrogators using “EIT”s..Enhanced Interrogation Techniques. The President called those techniques “torture," so did the Senate Committee, and so did Republican Senator John McCain, the only member of the Senate to have been subjected to torture while a POW in ‘Nam. EIT's were torture. 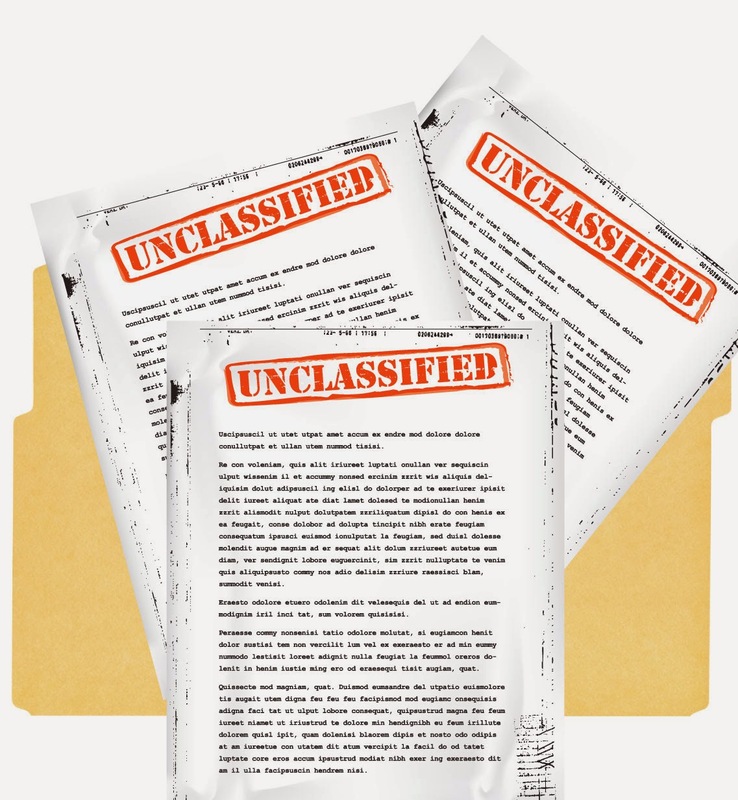 No court in the U-S would permit a police department to use them to extract information from suspects, which is what the people we used them on were..none had yet been convicted of any crime. But, once the Bush administration decided to use torture..water boarding being the best known example..but far from the only one---and this despite the U-S having signed the UN’s Global treaty against torture---what happened? Did the CIA turn to a brother federal agency with the most experience in interrogations to administer the EITs? You do not know Washington if you think the CIA would bring in the FBI with its years of experience here. No way; our turf. So the CIA, again from the Senate report, hired two outside psychiatrists, neither with experience in such interrogations or in Al Qaida, and turned them loose..at the expense of $81 million of your tax dollars. They developed the program, which others, often with little experience applied. No wonder at least one person died…and the value of any information gotten is hotly disputed. It was an illegal program, poorly conceived, badly run, and it resulted in---among other things—recruiting hundreds to the ranks of Al Qaida, the Taliban, and ISIS. It sullied America’s reputation among our friends..as if dozens of Abu Ghraibs had been unleashed upon the world by the nation where the Rule of Law had been a cherished tradition. This is partly due to the “ends justifies the means” argument among top U-S officials, excessive secrecy..usually broken by some fine reporters (several of whom have and are facing prison for their stories,) the divided, gridlocked government in Washington..and a public which wasn’t concerned enough to protest vigorously when these excesses were hinted at. We can not be free at home if we deny our freedoms to others abroad, especially when representatives of our government are doing the denying. I hope the suspect murdered in my name---and yours—will at least have compensation paid to his family, and an official apology from the U.S. government. The rest of us need to make sure nothing like this ever happens again..in your name, my name, or America’s. 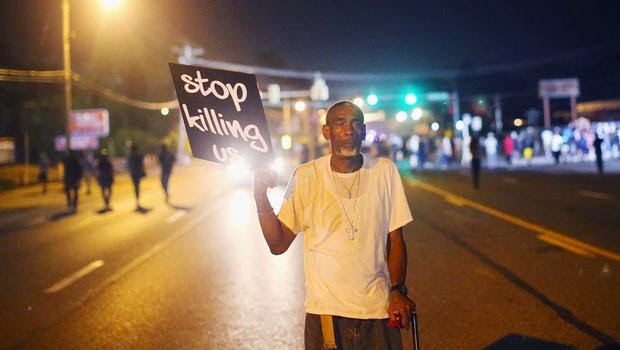 That said, there are problems with the Justice system in the Ferguson area. Little noted was a case tried there years ago. It hinged on whether police were justified in opening fire against the defendants. The police case, the same prosecutor presented, was based on their claim that a truck was moving toward them and they opened rire in fear of their lives. Despite overwhelming technical evidence the truck did NOT move, the jury cleared the cops. That story is all too often repeated. But the time to get the Justice system improved is not when Ferguson, a town 80% black, has but 3 black officers on a 50 plus man police force. That imbalance should have been worked on years ago. And then there’s Staten Island..the I can’t breathe case from New York City. In my view, this is very different. The video tape, and the NYPD’s own regulations against choke holds prove this cop or these cops should have been indicted. They may then have their day in court, and a jury, in public, will decide. 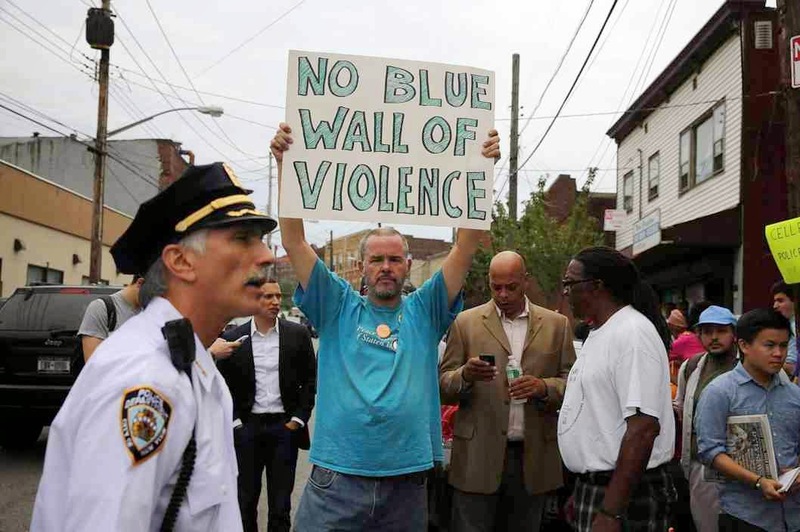 All the re-training of 35,000 cops won’t change the fact that Justice was not served here. There are major differences between these cases but the bottom line is that Justice is supposed to be colorblind..as well as occupation (cop) blind..and in our America of 2014 is isn’t. The January short session of the legislature will meet to set budget priorities, and make changes in the budget already adopted. Kentucky badly needs more coal mine inspectors...even with mining production falling; which may seem like a fallacy. Kentucky has failed to collect millions in mine safety violation fines...some from out of state millionaires. While the inspectors don’t collect those fines, they can keep after culprit mines and keep pressure on other state agencies to do their jobs. 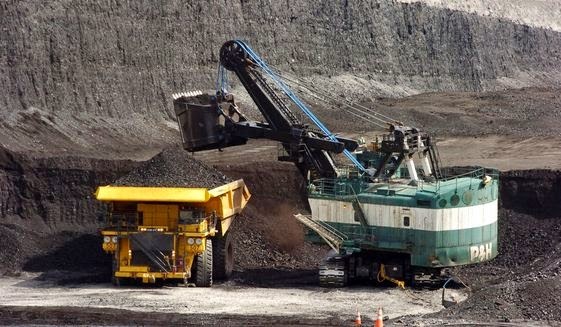 Environmental groups have again told the state that some mines are falsifying their pollution reports...and there does seem to be evidence they are right. These groups shouldn’t have to do such reports, the state should, and with enough inspectors it can. Inspectors are there to make sure safety rules are followed. If they do their jobs correctly, miners can work more safely. Fewer inspectors mean, inevitably, more mine accidents and more Kentuckians injured and killed. This is where budget priorities need to change..and where this state needs a “culture change”..no longer turning a blind eye to operator violations. Fewer eyes, more violations, and more deaths in an already not-too-safe industry. The week after the election I offered some general observations and comments for all voters. Last week, I had some suggestions for Democrats, especially state Dems. Today’s it’s the GOP’s turn. You were formed 150 years ago to oppose slavery; remember? But today, people want to know what candidates and parties support, Opposition is viewed more as obstruction. For years now we have had a divided legislature in Frankfort. Sometimes the parties get along; more often they don’t. If they want to get new followers, and perhaps show Washington it CAN be done, things need to change. For example: some Northern Kentucky lawmakers, mainly Republicans, have some ideas to fight the influx of heroin, there and everywhere. They need to be listened to. Just as some House Democrats last session had some good ideas on the same subject, but they didn’t get adopted. And heroin keeps growing. Surely, in the face of this problem, the two chambers, the two parties can do what’s right for Kentucky…and in the process, each gains public approval. Our infrastructure is falling apart. 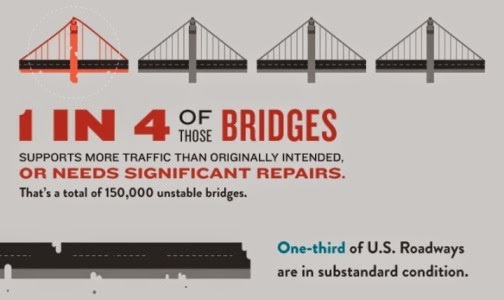 “60 Minutes” Sunday reminded us how bad our roads and bridges are. Kentucky’s fund to build and repair is tied to the price of gasoline, which has recently dropped. Yes, voters, myself included, like that…but what does it profit a driver if he has gas in his tank, and the bridge ahead collapses? This is a real possibility. The GOP can show leadership here...just as that great liberal organization, the U-S Chamber of Commerce, did before Congress in calling for higher TAXES so the additional funds could be used to repair the roads we have and build new ones. Just always being against higher taxes simply means more and more potholes. Is that what the Kentucky GOP wants? And, by the way, you didn’t succeed in taking over the House..but where you did gain it was often because you put up good candidates. That has not always been true, and there’s a lesson there. Good luck. As you succeed, so might Kentucky. Somewhere there is a disconnect between the idea that Mitch was at his most vulnerable this time out…and the fact that better known, experienced names in the party didn’t run against him. That left the Lundergans, who can be party splitters, ultimately in charge..and the little known Alison got the race. She, or dad Jerry, ran a bad campaign. Early on it didn’t appear so..when Team Mitch made some uncharacteristic stumbles. But Alison’s ducking of questions---from the public and from the public’s representatives, reporters, badly hurt her campaign. How much was this the reaction of a little experienced statewide candidate, or her dad, or her campaign team we may never know. But it hurt. If you are little known you must take every opportunity as a candidate to let the voters know about you. Team Lundergan did not. Now some in the party think she should try again next year for governor. In time she, out from her dad’s shadow, may be a more viable candidate. Not now, smarting from her loss in only her second attempt. Let her wait a while, gain experience, and then…maybe. Time for soul searching in the state Democratic party..or as surely as God made little green apples (and bourbon ) Kentucky will turn even redder. There were a number of such ads..dishonest and despicable ones I mean..and I missed the C-J and Herald Leader’s stories debunking them. TV stations, who grabbed scads of money from such ads, did zilch..totally abdicating their obligation to operate “in the public interest, convenience and necessity” as the law requires. The Lexington paper told me they had decided to put its analysis of some ads in their campaign stories, rather than as a separate story, which I thought was a bad call. Ads are a big factor in the campaign and deserve more prominence in news media stories. Did all the negative ads contribute to the record low turnout in many places? That’s worthy of a good sociological study. So is the abject failure of so many polls..polls that got it reasonably right last time. In the Grimes-Mitch race, a 15 point difference is NOT “too close to call.” What happened? Inquiring readers, viewers---and I hope, editors---want to know, need to know before next time. USA Today’s polling columnist urged the media to “kick (the) polling habit”:, a position I have held for years, but am not holding my breath it will happen. Nationwide one survey showed polls were off by an average of 7 percent; that is not within the margin of error. I am sure the media will study what happened..though I am less sure it will have the guts or wisdom to consider dropping polls entirely. 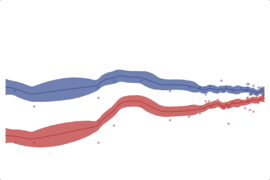 Let the candidates poll all they want, that does not mean there has to be stories about poll results, especially given the recent errors the polls made. The only poll that counts, after all, is the one the media reports election night..your votes. And speaking of your votes…where were you? One would think given the important offices at state..U-S Senators and governors..people would turn out. One would think with all the ads telling them to vote for various candidates people would understand the importance of voting…but No, they didn’t Why? Nothing but the future of the Republic is riding on that answer. Once again, after proclaiming how much it wants and needs the support of the Big Blue Nation, UK has acted to scorn them…needlessly. 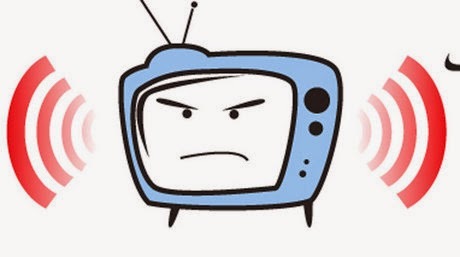 I am not privy to those negotiations, but why in the world would UK give away rights to let local TV stations (and others thru out the Commonwealth) carry Big Blue Madness??? Now remember, I worked 15 years for channel 27, but I write as a UK fan…I know UK had to give the rights to its sports games away to establish the SEC network, but the Madness is not a game. 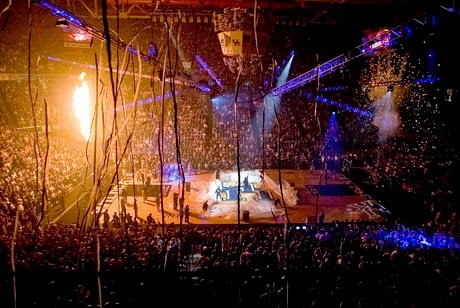 Sure, SEC and ESPN would love to have those rights...we are the Notre Dame of college basketball, but..in doing so, UK acted against the best interest of its fans..forcing them, in many cases, to pay to see the Madness they once got for free. Makes no sense to this fan, and I hope members of the BBN will let UK’s Athletic Director, Mitch Barnhart know their fury..maybe, maybe next year will be different. It should be. BTW, aren’t we all proud of the UK Football Cats? Not only did they play a great game against #1 last week..but, a fact glossed over by many, both UK and Miss State played with very, very few penalties..something you don’t ordinarily see in such a hard fought game. Congrats to all the football Cats, too!